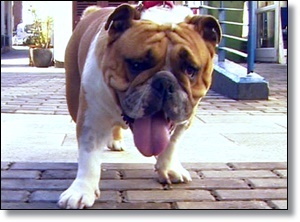 Pugs, bulldogs, French bulldogs and shih-tzus have become sought-after in the UK, despite wide-ranging health problems. Their appeal is attributed to having "squashed" faces and wrinkled noses. The British Veterinary Association said the surge in popularity of these dogs had "increased animal suffering". Sean Wensley, president of the British Veterinary Association (BVA), said: "Prospective owners need to consider that these dogs can suffer from a range of health problems, from eye ulcers to severe breathing difficulties. "We strongly encourage people to choose a healthier breed or a crossbreed instead." The warning has been echoed by the PDSA, the Royal Veterinary College, the RSPCA and the Kennel Club. Meanwhile, evidence suggests that an increasing number of the dogs - more correctly known as brachycephalic or short-muzzled dogs - are being abandoned by their owners.